Lolasana is no joke. As children, we watched our friends swing their little bodies like pendulums between their arms, but as we got older, these tricks vanished from our playlists. I guess we re-prioritized and started putting things like coffee, rent, and laundry above the need to use our arms as a makeshift swing set! It’s a shame because Lolasana is a strength-increasing movement for the upper body, and it opens the spine dramatically to prevent and relieve pain. 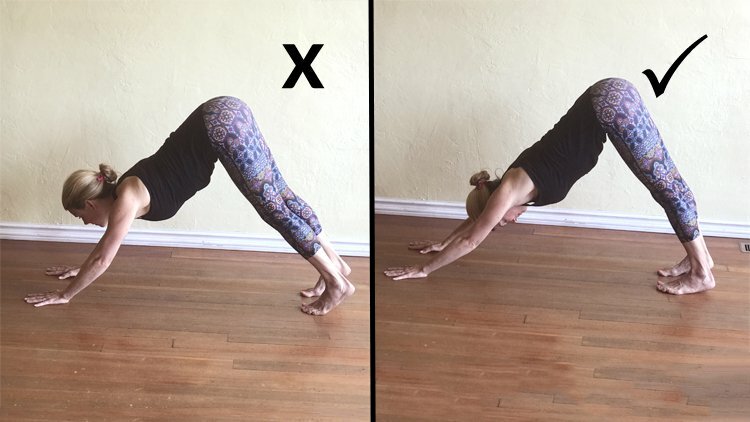 Lolasana requires a lot of control over the core and upper back and is wonderful prep for the elusive straight-armed Crow Pose (Crane), Firefly, and even Handstand (another childhood skill that we often lose in our adult lives). This movement is technically an arm balance, so while it requires already strong wrists, it also strengthens the wrists which is wonderful for typists, chefs, grocery clerks, and anyone who utilizes their hands in repetitive motions. Lolasana is fantastic for toning the arms and working the core muscles, but primarily it opens the spine and strengthens even the deep back muscles—making it very beneficial for folks struggling with chronic back pain due to spinal compression below the neck. To come into Lolasana, you will need to work on a few things to warm up. Know that this could take weeks or just a few minutes—depending on your bone anatomy, tension, and general strength. Either way, have patience with your body and try to enjoy the slow sensations of those muscle groups opening and strengthening as you prepare. To work on tucking your knees in close to your body, use a classic knee-to-nose movement in Cat or Plank pose and hold for a few breaths in each side a few times over. 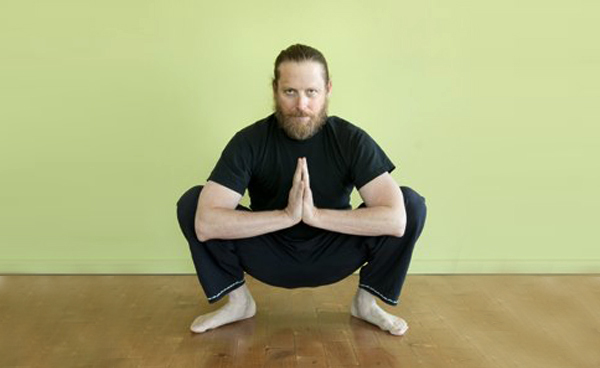 Then hold Malasana, yoga squat for 10 breaths. Get super strong arms by holding Plank for long periods of time, wrapping your upper arms in towards your chest and pushing the back of your heart to the sky. Find a strong Plank pose, pushing your hands into the floor and gripping with the tips of your fingers. Step one foot behind the opposite wrist as close as you can get it, then step the second foot to the other wrist. Line your knees up inside your arms, your shins will be crossed. Work on keeping your arms straight (if you hyperextend, work on finding a tiny bend at the elbow). Pause and step back one foot at a time. Repeat a few times on both sides. Next, try doing this movement stepping on to the top of your feet or toes, rather than toes tucked. You want them to be set up how they would be traditionally in Cobra, Child's Pose, or Up Dog. This gives you less resistance when it comes to lifting off the ground. Note that you may need to have a block under each hand just to help you get started. Do the prep movement from above. Round your back and push the floor away so much that you can lift your toes off the floor. Try both sides. Once you can comfortably hold that for a few breaths, you might be ready to try rocking front to back, this part will feel less precarious on the floor versus blocks. Phew! Lolasana is not as easy as your childhood friends made it look, so don’t be disheartened when you struggle—we do these shapes as a meditative process, not as part of a checklist. You can still gain all the benefits of the strengthening aspects from the prep work. Remember that if a posture is not humbling and doesn’t require all your concentration and focus to maintain, then it is not as beneficial for your mind as a more challenging shape could be. Keep this in mind whenever a pose you once found easy becomes challenging again, or when you experience struggles when trying new poses or movements.